If you have a son under the age of 13 you know exactly what I am talking about. If you don’t, you may need to check it out. Minecraft is a VERY popular game with boys. It allows players to design and construct their own 3D box world which they can then explore, craft, gather and eventually use combat methods in with other players, zombies, etc. It is so popular that it has spawned an entire merchandise line, television show, and even books. So this month we want to highlight a series of books that any Minecraft lover will want. Diary of a Minecraft Zombie. This series follows a middle school Minecraft Zombie through his daily life. 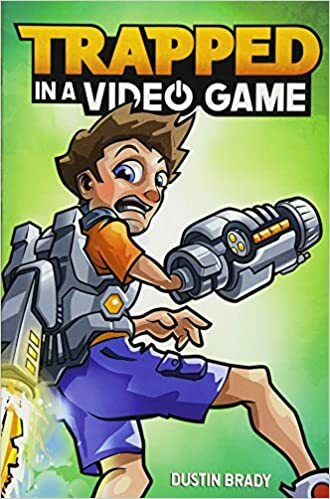 It is rife with funny video game references and will keep your little player in stitches. It gives a fun diary style insight into the world of a 12-year-old Minecraft zombie. Readers/players will be surprised how similar their life and the zombies lives actually are. 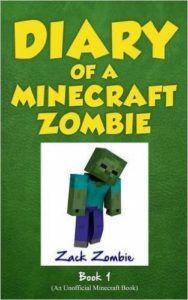 Diary of a minecraft zombie is a fun and fairly straightforward read for readers 7-12. The series features nearly 17 books and they are available in paperback, hardback, and Kindle edition. These fun and quirky books may just encourage readers that would rather play video games than read to look at a book and see what it has to offer. By adapting their favorite game and giving human emotions to the familiar characters it encourages players to take a deeper look at their game, and themselves, all while keeping the pleasantly entertained. How many moms and dads out there let their kids watch TV? Who lets their kids play on the computer? The iPad or tablet? Video Games? The great screen debate has become a huge topic amongst parents far and wide. Why? Because m,any studies show that increased screen time can decrease a child’s sleep time, reduce their creative and independent thought processes, and decrease their attention span. So what is your spin on the screen debate? In our house we do have all of the above. As a blogger, teacher, and Grad student I have an iPhone, iPad, and computer. My husband plays video games occasionally, but as a technology buff and specialist his favorite “toy” is his home theater with its 118 inch screen and quality sound system. Of course our kids enjoy watching movies and TV shows int here, who wouldn’t? But we try to limit their exposure to the screen in all forms to just a few hours a day. We have friends who do not allow their kids to watch TV at all. We think that’s great, but we love TV ourselves and just cannot tell them they cannot do something and we can. We respect our friends choice to keep their kids from watching TV, and do not allow their kids to watch at our house unless their parents have given us the OK. So now let’s take a poll, how many parents actually let their kids watch TV? How many hours a day? Whose child has a cell phone? How old are they? Do you let your kids play with a tablet/computer/video game system? Why or why not? This entry was posted in General, Health, Learning and tagged parent styles, parenting, screens, the boys store, tv, video games on September 28, 2015 by Lacy.